M.D. WATERS lives with her family in Maryland. 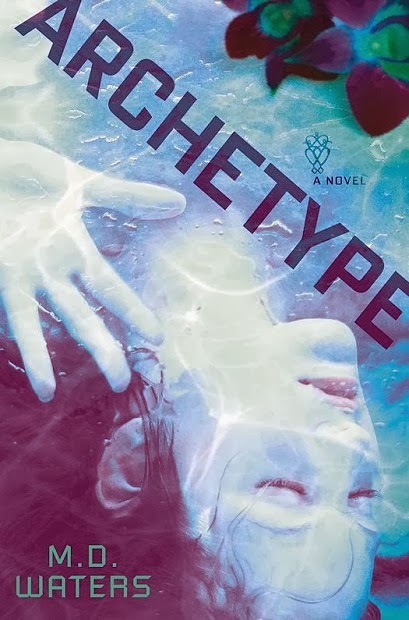 Archetype, February 6, 2014 from Dutton Books, is her first novel. Its sequel, Prototype, will be published July 24, 2014. 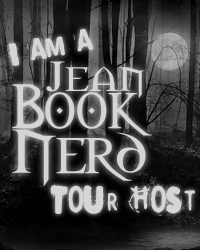 Can you tell my Book Nerd community a little about ARCHETYPE? Archetype is a story about a woman living a seemingly perfect life, with a husband who cherishes her above all else. But while life carries on, a past she has literally no memory of begins seeping out of her subconscious and into her dreams. Only they can’t be real memories because they contradict everything her husband tells her. So Emma has to piece all the clues together, while trapped in a very small, contained world where no one will give her the answers. For those who are unfamiliar with Emma, how would you introduce her? I would introduce her as a very strong woman, but the kind who isn’t obvious. She knows how to use her words, and how to take advantage of every situation she faces. On the other hand, she’s very fragile like we all are when it comes to loving and caring for others. She isn’t strong enough to fight the feelings her subconscious warns her are a bad idea. I would introduce Emma to Mac from Karen Marie Moning’s Fever Series, because Mac had to find her own strength in a world previously unknown to her. She could probably teach Emma a few tricks. What was one of the most surprising things you learned in creating Declan? I believe escape from our everyday lives is necessary for the sake of our sanity. Storytelling breaks up the monotony and the humdrum, and in the end prevents a lot of unhappiness. It inserts hope into areas where there is none. Never follow a rule off a cliff. I can’t remember who said it, but I tell all my writing friends the same thing. We can always plot a novel in the same standard 3 or 4-act structure, but if we listen to our characters, are they happy with that? Or would the story benefit from coloring outside the lines? I didn’t plot a single sentence of ARCHETYPE and it turned out alright. That doesn’t mean I’m going to fly by the seat of my pants for every novel, but I allow my characters the freedom to express themselves. Easy. The one in which my husband asks, “Would you ever leave me for (insert smokin’ hot actor here)?” Just kidding. Maybe. I once worked for a Tastee Freeze in Fort Myers, Florida. The memory of smelling like sour milk after every shift has haunted me ever since. *le sigh* Eric Brown. We were elementary school sweethearts, and only broke up because he moved away before 7th grade. He came back to town when I was 19 or 20 and happened to be in the restaurant where I worked at the time. He recognized me immediately and approached. He was so damn cute! I was so flustered that when he asked for my number, I accidentally gave him half mine, half my mom’s. He ended up calling my mom’s house where she set him straight with the right number…and he never called. I don’t blame him for the misunderstanding, but I always wonder what would have happened. (SPOILER ALERTà) Rita’s funeral. The exact moment Dexter realized he loved her. Sobbed like a baby. I always wanted to be a teen during the 20’s. I want to wear flapper dresses and drink at speakeasies in danger of being raided by the police and flirt with men in suits and hats. Thank you Penguin & Misty for making this giveaway possible.